Dallas welcomed SEW back to Texas. There’s always been a large search contingency in Dallas and it was a sad day for Dallas when SES switched to Chicago. 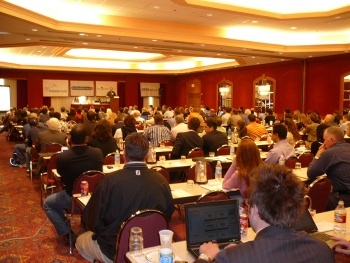 The old Dallas conference was smaller than the Chicago one, but it had a special down-home feel unique to Texas. In any case, Dallas was thrilled to have SEW back in town for the SEW Live 1 day conference on January 25th. 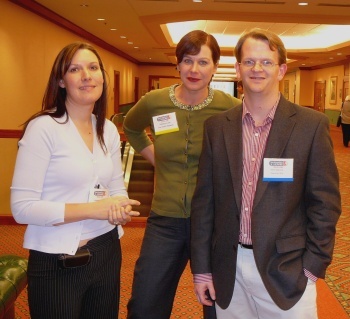 Below is a snapshot of the dynamic Search Engine Watch trio of Elisabeth Osmeloski, Rebecca Lieb, and Kevin Newcomb. Here’s a few pictures from the Conference. The first one below is a view of the crowd. The morning training session run by Dan Thies and Christine Churchill had sold out. That session covered the many aspects of keyword research from selection criteria to how to apply those keywords in SEO and PPC. The session also covered many of the popular keyword tools including demonstrations on how to use them. There were three sessions in the afternoon. The first was the organic panel consisting of Tony Wright (Kinetic Results), Mark Jackson (Vizion Interactive) and Christine Churchill. Elisabeth moderated all the sessions and kept everything interesting. 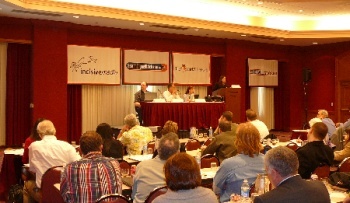 The Paid Advertising session (picture below) consisted of SEW Moderator Jeff Martin, Jim Gilbert (KeyRelevance) and Lora Parker (Range Online). Jeff primarially talked about click fraud and related issues, Jim talked about the Yahoo-Panama transition and Lora did a great job of discussing overall PPC. 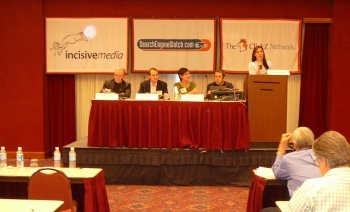 The snapshot below is from the Search 2.0 Roundtable. This was a fast paced session discussing the future of search and related topics. The panel consisted of Terry Heaton (Media 2.0), Rob Garner (icrossing), Rebecca Lieb, and Giovanni Gallucci (Kinetic Results). I confess I was pretty tired by this point after having spent 5 hours on the podium already that day, so forgive me if the most memorable exchange from that session was Gio talking about how hard it was to grow up in Texas with a name like Giovanni. I guess you have to understand the Texas cowboy mentality to really get that joke, but it had the whole crowd in stitches. Here are a few other pictures taken during the day. Below is Bill Hartzer and Heather Reisig Windsor. 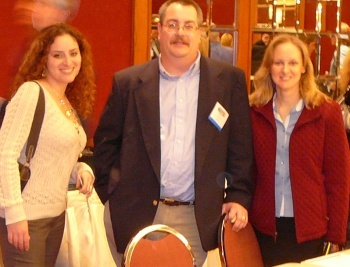 Bill is one of the founders of the DFWSEM and has been an active member of the search community in Dallas. A search conference wouldn’t be complete without the meeting in the bar. 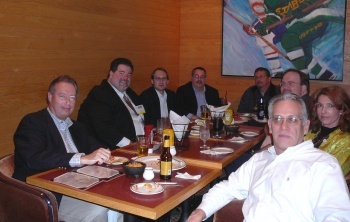 Seated in the picture below are Durk Price, Tony Wright, Rob Garner, Bill Hartzer, Dan Sturdivant, Jeff Martin, Christine Churchill, and Jim Gilbert. Okay, now for the real fun. 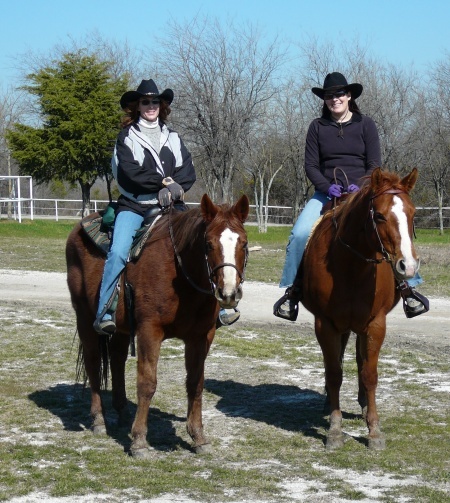 The day after the conference, Elisabeth Osmeloski and I ran off to have a little Texas style play on horseback. I’m a horse fanatic so I was thrilled to hear that Elisabeth had spent a fair portion of her childhood around horses. Elisabeth was very modest about her experience but I could tell immediately she was totally comfortable around horses. She tacked up her own horse and we went out for nice trail ride around a lake near my home. SEW Live Dallas was a success. I want to thank Stewart Quealy, Elisabeth and all the great folks at Incisive who made it happen. I also want to say special thanks to DFWSEM President Rob Garner and Bill Hartzer who were instrumental in convincing SEW staff that Dallas was a hot spot for search. I have a few more pictues I’ll put up on Flickr when I get a chance.